Western Business Park is located on South Western, one block south of Hillside Drive, with easy access to I-27 and all of Amarillo. 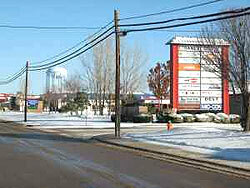 WBP is a 22 acre business park, with a variety of spaces for any type of business. WBP has small and large office spaces, from 400 s/f to 3,000 s/f, some office spaces may include a coffee bar, or a break room area, and all office spaces have a private restroom and central heat & air. 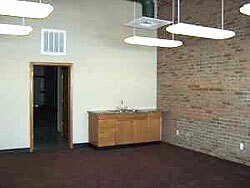 We also offer office spaces that have a small warehouse attached. Our office/warehouse spaces range from 900 s/f to as large as 5,700 s/f. 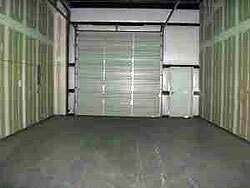 If just warehouse space is what you are looking for, WBP has it. 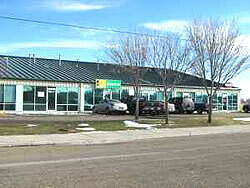 We have warehouse space with private restrooms and shop heaters, from 550 s/f to 5,000 s/f. Many of our warehouse spaces have two overhead doors between 12-14' high and 16' to 26' high ceilings. WBP has flexible leases, and is willing to work with you to get your business going in a professional environment. WBP has 24 hr. emergency maintenance, and on-site daily maintenance personnel. The leasing office is on-site, and available for your calls or concerns Monday thru Friday, 8:30am to 5;00 pm. Please call or come by for a tour of this most prestigious business park in Amarillo.